If you know what the issue is we can help you with the purchase of the parts and give you a general estimate over the phone to what the cost should be. If you do not know what the problem is then League City Mobile Auto Repair, in League City, TX. can come over to where your vehicle is and perform a computer diagnostic service to troubleshoot and find the problems. Vehicles have a habit of breaking down when you least expect it, often at the most inopportune hours. With a traditional mobile mechanic, you have no choice other than to get your vehicle to their premise. 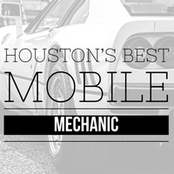 However, we offer an unprecedented 24-hour, city-wide mobile mechanic service in League City, TX. that will save you from hours and days of waiting time and a hefty towing bill. No matter wherever you are, if you are in need of an expert to take care of your vehicle then you are advised to make a call to League City Mobile Auto Repair that can reach out to you within a very short time.